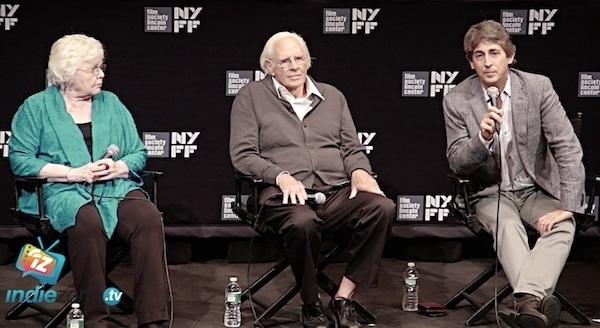 Bruce Dern was awarded the Best Actor prize for Nebraska at the 2013 Cannes Film Festival for the role of Woody Grant. After half a century in the business, Nebraska has finally given Dern the chance to display his acting prowess outside of the villain role, a niche that earned him great respect from his early days in Western television shows such as Wagon Train (1963-1965) to films like the acclaimed Monster (2003). Dern masterfully inhabits the role of Woody, bringing forward the humanity of a character that could be written off as a curmudgeon. Alexander Payne's first screenplay was the Golden-Globe-winning About Schmidt (2002), but it wasn't made into a film until twelve years after an earlier version of it served as his MFA project at the UCLA film school. Citizen Ruth (1996) set the tone for which his work would become known, films about quirky, irascible characters that represent modern American life with all its flaws and joys. Election garnered Payne his first Academy Award nomination for Best Adapted Screenplay, and Sideways (2004) won him that award as well as the Golden Globe for Best Motion Picture – Musical or Comedy. The Descendants (2011) also won the Oscar for Best Adapted Screenplay. Will Forte plays David Grant in Nebraska. He is best known for his work on Saturday Night Live from 2002 to 2010. He has also done extensive voiceover work for television and movies including Bob's Burgers (2013) and Cloudy with a Chance of Meatballs (2009). Forte has acted in and written for multiple television series and motion pictures, many of which were done in concert with fellow Saturday Night Live alums such as the Brothers Solomon (2007) and MacGruber (2010). June Squibb, who plays Kate Grant in Nebraska, also starred in Alexander Payne's 2002 film About Schmidt. Her first film role was in Woody Allen's Alice (1990). Since then she has been cast in many award-winning films including the Age of Innocence (1992) and Far from Heaven (2002). She has guest-starred in numerous television shows as well, most extensively in the Ghost Whisperer and the Young and the Restless. Payne shares how the pacing of Nebraska was directly taken from the screenplay's austere and crisp style of writing, including its deadpan humor. The landscape and people of Nebraska complemented that mode of storytelling. Dern credits Payne's filmmaking style and the film's crew with creating a space wherein he could fully envelop Woody's light, warmth, and grumpiness. Nebraska is one of the few film sets on which Dern's been able to trust everyone else to make the picture. Dern compares working with the King of Marvin Gardens' filmmaker, Bob Rafelson, with working with Alexander Payne for Nebraska. To explain, he talks about Rafelson insisting on shooting a particular scene with Jack Palance for 17 takes on the set of the Greatest Show on Earth. They kept going until Rafelson felt the goose bumps he desired. Payne, on the other hand, does a lot of his filmmaking in the casting itself. Dern was stunned by the quality of Nebraska's script, which Payne had given him to read and consider in the early 2000s. A toy truck sent to Payne signaled Dern's intent to play the role. In this clip, Dern also shares his deep respect for how Payne works with actors. Payne explains why he chose black-and-white coloring to tell the story of Nebraska. He had been waiting for the right film to fit that medium, and it needed to be one with a smaller budget as well. He credits the black-and-white footage with making the film beautiful to watch. June Squibb didn't find playing the role of Kate Grant that unique of an undertaking. She appreciated it more for just being a plain-good role than being one written for an older actress.